The argument that divorced and civilly remarried Catholics (lacking annulments) be allowed to receive the Eucharist is kind of like 40+ year-old, re-heated mashed potatoes: it’s been spit out by the authority of Church time and again, but for some reason keeps appearing on the spoon of stubborn theologians and bishops who keep trying to trick us into eating it by making cutesie airplane noises. In an essay for Communio entitled “The Merciful Gift Of Indissolubility and the Question Of Pastoral Care For Civilly Divorced And Remarried Catholics”, Nicholas J. Healy, JR. traces the history of this argument, as well as four of the main times the Church has lovingly but resoundingly shut it down. I’ve listed my findings from the document below in order to provide some context for this issue that’s sure to arise once again at the October 2015 Synod on the Family. 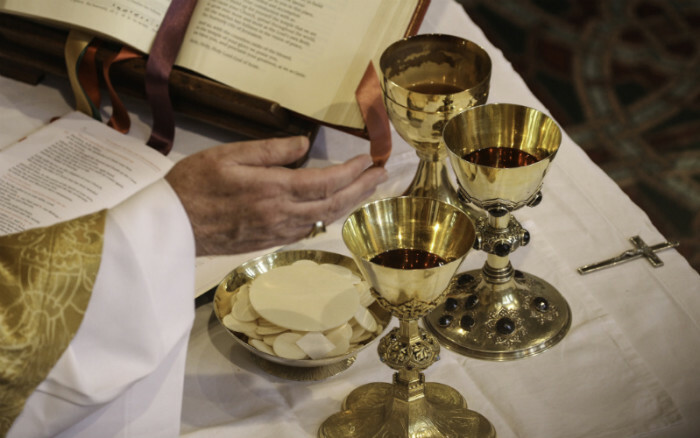 The argument for allowing communion in certain circumstances to divorced and remarried Catholics can be traced back, at least in recent history, to the fourth session of the Second Vatican Council. Archbishop Elias Zoghby, the patriarchal vicar of the Melkites in Egypt, proposed that the Eastern practice of tolerating remarriage in certain cases should be considered. Even though Zobhby triggered a swift and negative response, dissenters still use this instance as an example in their favor. Despite the Church’s response at the Second Vatican Council, the 1970s saw a barrage of publications from Catholic theologians and bishops advocating for a change in Church teaching, particularly in the United States and in Germany. In 1972, a study committee commissioned by the Catholic Theological Society of America issued an “Interim Pastoral Statement” on “The Problem of Second Marriages,” arguing that not only should the divorced and remarried be admitted back to the sacraments, but that the Church needed to rethink and redefine the very ideas of consummation and indissolubility. That same year in Germany, several prominent bishops and theologians such as Schnackenburg, Ratzinger (Cardinal Ratzinger, now Pope Emeritus Benedict XVI, officially retracted his support of communion for the divorced and remarried in a letter published in The Tablet in 1991, and has several times since voiced his support for Church teaching as expressed in Familiaris Consortio), Lehmann, and Böckle wrote volumes on the matter, arguing for leniency in certain circumstances similar to practices in the Orthodox Church (called oikonomia, which roughly translates to “stewardship” or “management of a household”). Together with the Synod, I earnestly call upon pastors and the whole community of the faithful to help the divorced, and with solicitous care to make sure that they do not consider themselves as separated from the Church, for as baptized persons they can, and indeed must, share in her life. They should be encouraged to listen to the word of God, to attend the Sacrifice of the Mass, to persevere in prayer, to contribute to works of charity and to community efforts in favor of justice, to bring up their children in the Christian faith, to cultivate the spirit and practice of penance and thus implore, day by day, God’s grace. Let the Church pray for them, encourage them and show herself a merciful mother, and thus sustain them in faith and hope. However, the Church reaffirms her practice, which is based upon Sacred Scripture, of not admitting to Eucharistic Communion divorced persons who have remarried. They are unable to be admitted thereto from the fact that their state and condition of life objectively contradict that union of love between Christ and the Church which is signified and effected by the Eucharist. Besides this, there is another special pastoral reason: if these people were admitted to the Eucharist, the faithful would be led into error and confusion regarding the Church’s teaching about the indissolubility of marriage. Three prominent German bishops, Oskar Saier, Walter Kasper, and Karl Lehmann, publish a letter on pastoral care for the divorced and remarried, essentially saying that while what Pope John Paul II said in Familiaris Consortio is very nice and generally true, it can’t possibly apply to every difficult situation that arises. These bishops then proposed their own guide for divorced and remarried Catholics to determine their worthiness for the sacraments, as guided by a pastor. There were three conditions the German bishops laid out for the possibility of communion: the individuals should be repentant for the failure of the first marriage; the second civil marriage has to “prove itself over time as stable”; and the “commitments assumed in the second marriage have to be accepted.” Under these conditions, the bishops argued, civilly remarried people could in good conscience receive the Eucharist without the need to live continently. Shut it down: In 1994, The Congregation for the Doctrine of the Faith issued an indirect response to the German bishops in the “Letter Concerning Communion”, which said church teaching “cannot be modified for difficult situations.” While it never mentioned the letter from the German bishops, it was clearly written in response to it. The Congregation’s letter cited passages from Scripture, Familiaris Consortio, and the Catechism of the Catholic Church to support Church teaching, and addressed false notions of conscience that would allow individuals to determine for themselves whether or not their first marriage was valid. Literature published by various bishops and theologians still showed a tendency to stray from Pope John Paul II’s teaching in Familiaris Consortio, leading the Church to call for a Synod on the Eucharist in 2005, during which the issue was studied and addressed extensively. Shut it down: Pope Benedict XVI issued a post-Synod apostolic exhortation called Sacramentum Caritatis, in which he confirmed Church doctrine and practice. He also called for a deeper theological understanding of the relationship between the sacrament of marriage and the sacrament of the Eucharist, and asked for better pastoral efforts in the area of marriage preparation for young people. There are two important things to remember when considering this issue. The first is that the pain and separation felt by divorced and remarried Catholics is real, and the exhortation of the recent Popes to reach out to these people in the Church should be taken seriously by clergy and lay faithful alike. The second thing to remember is that while the pain of the divorced and remarried is a serious issue, it is not the only important and pressing issue in the Church at the moment, with thousands of Christians fleeing their homes or being slaughtered at the hands of Islamic extremists both in the Middle East and Africa. Still, because the issue continues to arise, the Synod Fathers will address it at the Synod on the Family later this year, and Pope Francis will write an apostolic exhortation on the matter some time after that. Let us continue to pray for all in Church leadership, and that those in authority have the courage to trust that the Holy Spirit will shut it down, as he has always done when erroneous proposals threaten Church doctrine and unity. Mary Rezac, a staff writer for Catholic News Agency/EWTN News, holds a degree from the University of Nebraska-Lincoln in secondary English and journalism education. 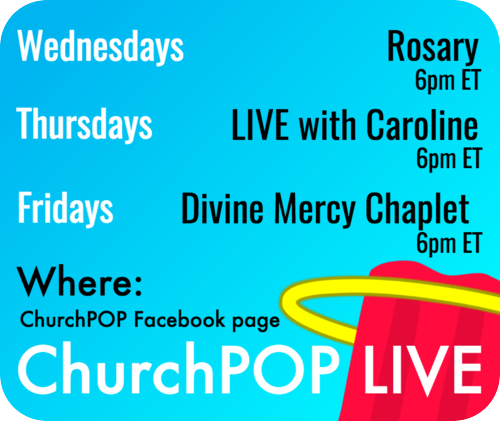 She loves St. John Paul II, Blessed Chiara Luce, and the Divine Mercy devotion. 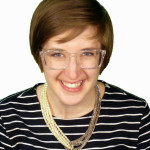 Her work has previously appeared in the Omaha World-Herald, Nebraska News Service, and the Daily Nebraskan.